Looking for fencing contractors in Perth southern suburbs? When you have a custom commercial or residential fencing project that you need handled competently, and you want a fencing company with a reputation for performing high-quality fence installations, repairs and maintenance — consider Team Work Fencing Contractors. 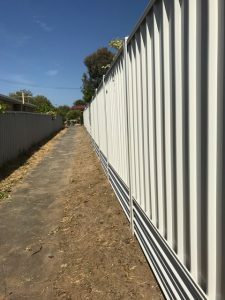 At Team Work Fencing Contractors, we have been tending to the fencing needs of homes and businesses throughout Perth and Western Australia professionally for over a decade. Our fencing specialists have served clients in virtually every sector, and our service range is as extensive as our client portfolio. Our services include installs and repairs of HardieFence™ fencing, COLORBOND® fencing, pool fences and decorative fencing, brushwood fencing, vinyl fencing and retaining walls in South Perth. We also do installation and repair of rural fences, chainmesh fences, Garrison fences, palisade security fences and aluminium slat fences. For home and business owners looking to add physical enhancements to new and existing fences on their properties, Team Work Fencing Contractors Perth southern suburbs can install complementary gates, toppings, claddings and various other features, increasing security, privacy and/or visual appeal. Concerned about the environment? All Team Work Fencing installations and repairs are done using sustainable local materials that are ecofriendly. Moreover, our fencing company always adheres to environmentally friendly practices. Just another reason why we are considered a top fence builder in South Perth. When you need fast, professional fencing services, Team Work Fencing Contractors delivers. Request a quote today or browse our website to learn more our company and services or call 08 9795 3447 to discuss your project.